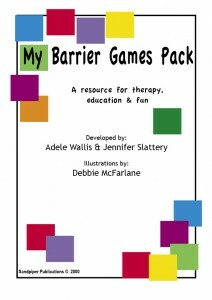 This resource is a pack of master pages for 30 barrier games and base boards. All materials are provided in a black and white format, using A4 pages for ease of copying and use in the clinic. Base board templates and all picture cards are provided as part of the resource.